The phrase “post-vacation blues” doesn’t even begin to cover the feeling that many parents have when, upon returning from an exhilarating weeklong jaunt with their kids, they feel even more worn out and depleted than ever. After spending months planning a magical trip for their children, the energy spent on toting those kids around as a veritable pack mule, feeding them, and caring for them in a new environment tends to zap even the heartiest of mothers and fathers. So how do you return from a vacation and not feel like you need another “real” vacation right away? How do you set foot in the door and not burst into tears at the mountain of laundry that is waiting for you on top of all the other real life post-vacation responsibilities? We asked some experts to share their ideas and were excited to learn some practical tips you can implement right away on your next family getaway. Add an extra day or two. Experts recommend that parents build in two extra vacation days to minimize stress levels. You might want to add one day before your trip and one at the end – or plan to end your vacation before the weekend so you have a couple days to decompress before work. Prepare for your return before you leave. How many of us make sure our house is clean before we leave on a trip? It’s so simple, but it’s something so many people don’t prioritize in the rush to pack and get everyone out the door. 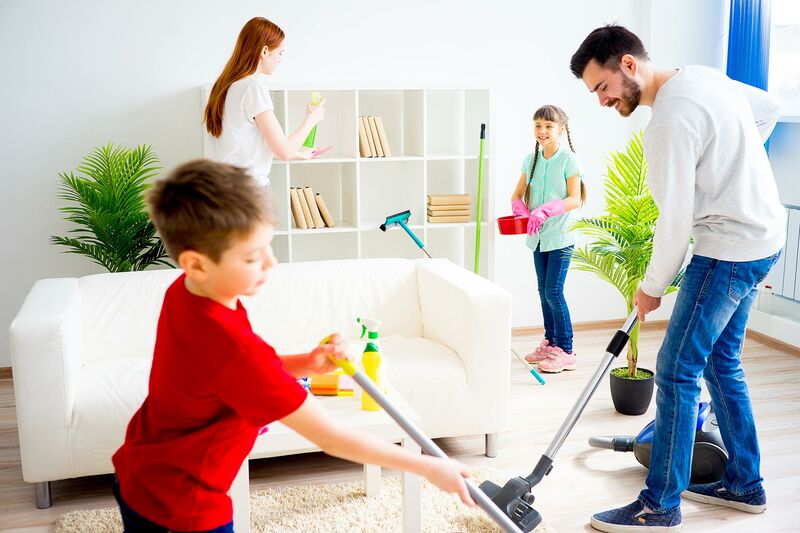 “Nothing can be more stressful than coming home from a trip to a messy house,” says Sarah Hamaker, a parenting coach and mother of four. Not only does Hamaker tidy up before leaving, she also makes sure there is a meal or two waiting in the freezer upon the family’s return. Plan something to look forward to. Bailey Gaddis, a hypnotherapist in Ojai, California, gives parents this advice before they head out on trips: Pre-plan some relaxing, fun activities for after they get back. Ideas include a book you’ve been excited to read, a scheduled massage, a pizza-and-movie night, or an all-day pajama day. Hire a babysitter. If you’re traveling with younger children, consider bringing along a sitter, using a daycare service, or hiring a local babysitter while you’re on vacation. “Sitters allow parents to be able to relax either at the pool or gym, sleep in or have a night out without having to worry about finding kid-friendly restaurants,” says Rachel Charlupski, founder of The Babysitting Company. Lower your expectations. Many parents run themselves – and their children – ragged trying to visit dozens of sights on one vacation. Instead, whittle your list down to a few must-do things and make sure you plan in some down time for naps, relaxing at the pool, and just spending time together as a family. Involve your kids in unpacking. If your kids are old enough, they should be able to pitch in during the unpacking phase. Hamaker says she tasks her kids (ages 9 to 15) in unpacking and putting away suitcases before they get involved with other things. Ease back into reality. Know ahead of time that the first few days back from vacation are going to be rough, and work to simplify your life and give yourself permission to get back to the grind slowly. Incorporate pieces of your vacation into your routine. Who says that vacation has to end the minute you walk into your house? This is a great time to spice up your routine with elements of your trip. For example, psychologist Anna Prudovski‘s family incorporates new dishes from their trips into their meals. “After our vacation to Italy, we now have ciccheti for brunch and bake amaretti cookies,” she says. Enjoy the memories. If you’ve planned an extra day at home before going back to work at school, use that time to talk about what you liked and didn’t like about your trip. Do you have new inside family jokes now? “Give the kids some cameras and have them take pictures while on vacation,” says counselor Lisa Steinhilber. Then upon your return, print out the photos and create a memory album. And don’t forget to plan your next vacation – you may not need one, but after reliving all those fun memories, you’ll certainly want one.